The Greatest battle tank ever constructed by the British Army. Now available as a BanBao toy. This heavily armored tank has been in production longer than any other tank. 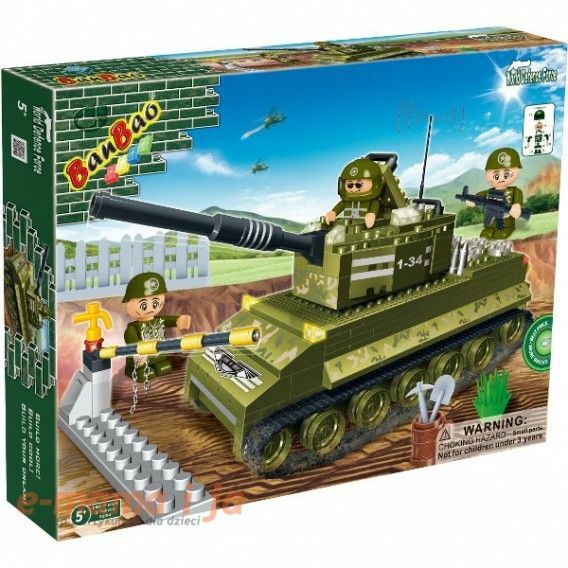 Order your Centurion tank today, start building and help make the British Banbao Defense Forces stronger. Includes 2 To bee figures and various accessories.